Rent Zukas Hilltop Barn | Corporate Events | Wedding Locations, Event Spaces and Party Venues. Whether you are planning your wedding or hosting a meeting, Zukas Hilltop Barn can provide you with an elegant country affair. The atmosphere of Zukas is one of peace, tranquility and beauty. Zukas Hilltop Barn is located in the heart of Massachusetts, providing you with a beautiful country setting in a central location for guests of your event. 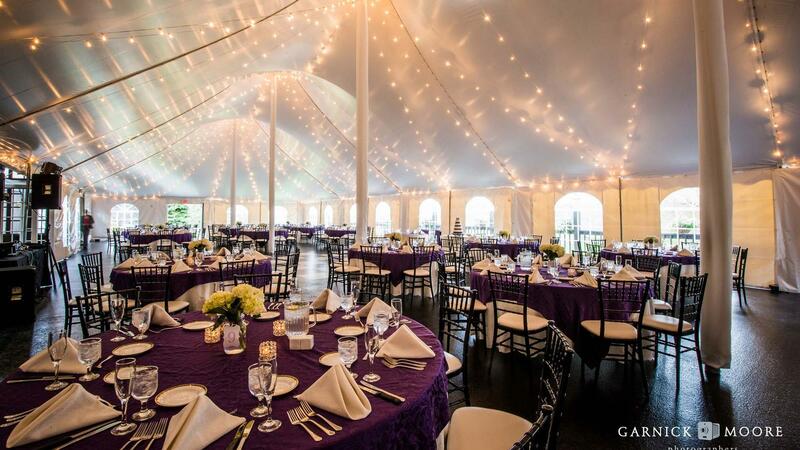 A beautiful 40 by 100 foot tension tent erected on our patio accommodates up to 250 guests. Alit from delicate white ceiling lights, the space includes a striking black-and-white dance floor. Round tables feature house linens complemented by fine china, stemware, and flatware, and matched with padded black wooden chiavari chairs. From November to April Zukas is ideal for winter and spring weddings, with our spacious indoor banquet room that accommodates 150 guests. A centrally located double-sided fieldstone fireplace casts just the right glow for a warm, inviting atmosphere throughout the room and nearby oak bar. Red maple flooring and handsome oak chairs complete the country charm. A small receiving room for any last minute touch-ups is located conveniently near the front foyer.